Sumac, or Rhus, is part of a large family of shrubs and trees that can reach a height of up to 3 m and regroups over 120 species. Growing mainly in the warm and temperate climates of the Mediterranean and the Middle East, the red fruit of this plant form dense clusters. 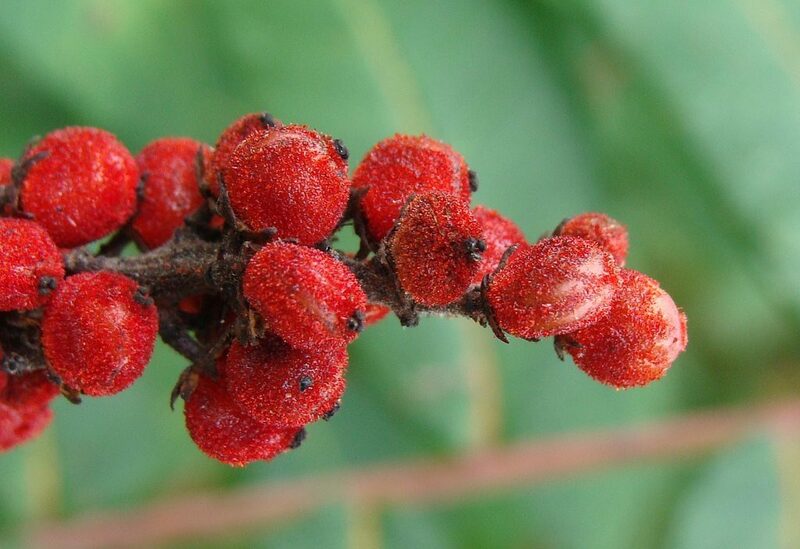 The fruit of the edible Rhus Coriara (the « sumac of tanners ») is used as a condiment. In North America, we find a variety of Rhus, the Staghorn Sumac. The fruit of this tree is used to make a drink known as « sumac-cade » or « Indian lemonade », that is similar to lemonade. Immerse the berries in hot water before pressing them to extract the juice. Did you know? Sumac is also used in traditional tanning processes because of the high levels of tannins, which render leather light and flexible. 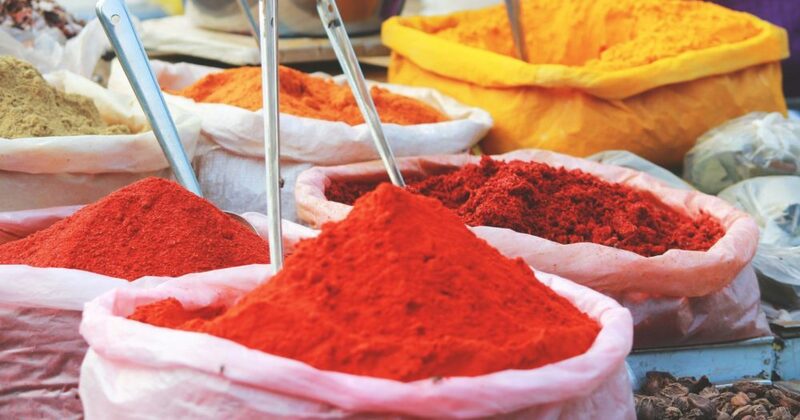 The pigments are also used to dye wool. Most often, the sumac fruit is dried and ground into a reddish-purple powder. They are rarely used whole. Keep sumac in a sealed container, away from light, in order to preserve the freshness and aroma. A mild spice, sumac has a bitter taste that is fruity and astringent which is comparable to lemon in certain dishes. Before introducing this citrus in Europe, sumac was used to give a touch of acidity to food. In many cuisines, it is still preferred to lemon or vinegar as the taste is more constant and slightly less sour. 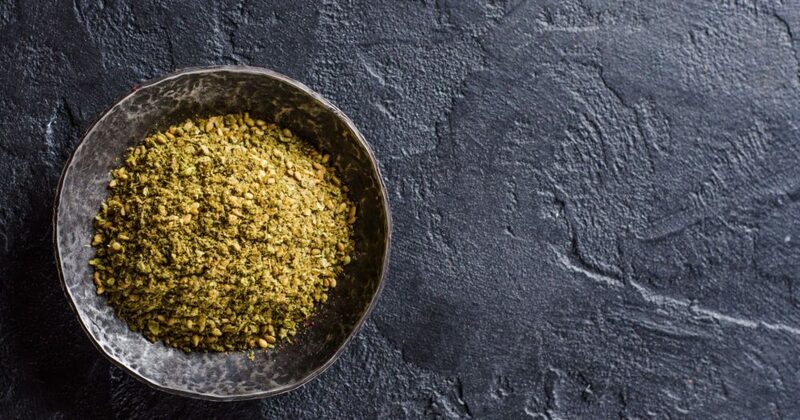 An indispensable spice in the Middle East, sumac is served at the table to be sprinkled on different foods to taste, much like we do with salt and pepper! Another traditional use for this spice is to mix it with minced onions to draw out moisture and flavor them. 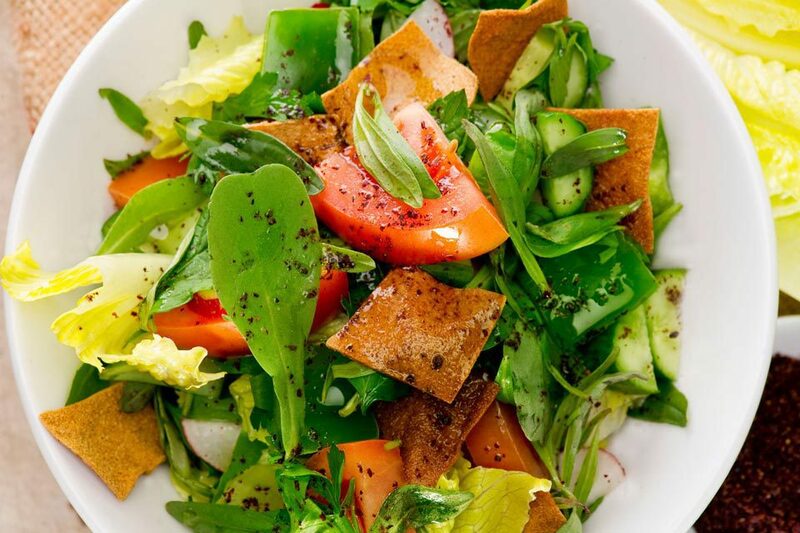 This process is absolutely necessary when making the perfect Lebanese salad Fattoush (Pita Bread Salad). 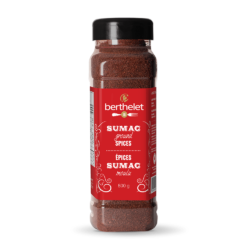 It is used in salad dressing and marinades, to add flavor to salads and meats, as a rub. It is wonderful on roasted vegetables, lamb, fish and chicken. 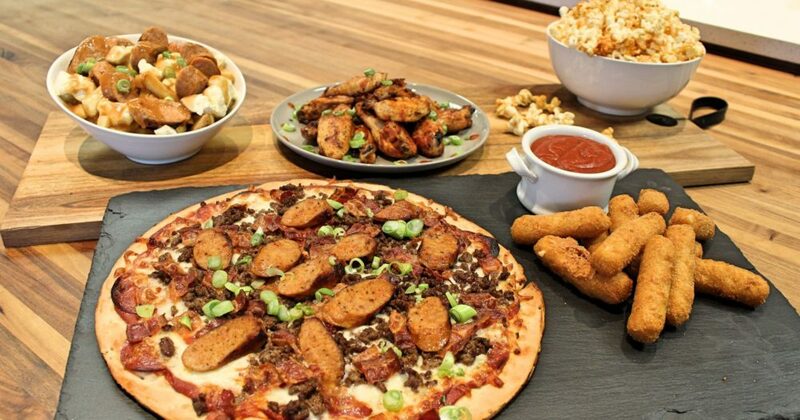 Sumac is also present in the composition of traditional Lebanese mixes such as zaatar. We suggest that you keep your sumac in the pantry for use as a replacement for zest when you do not have any fresh lemon on hand (even in desserts! ).